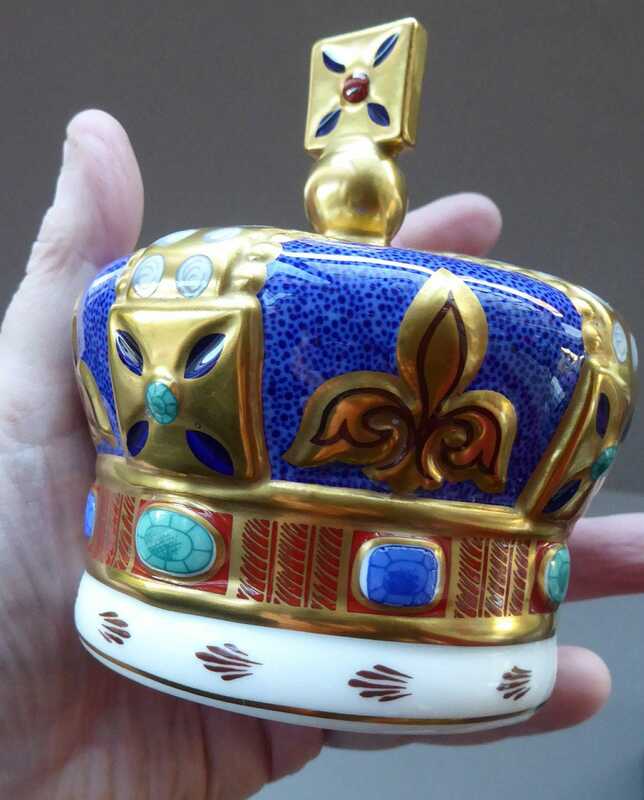 This is a very rare Royal Crown Derby gold stopper paperweight - which dates from 1990. 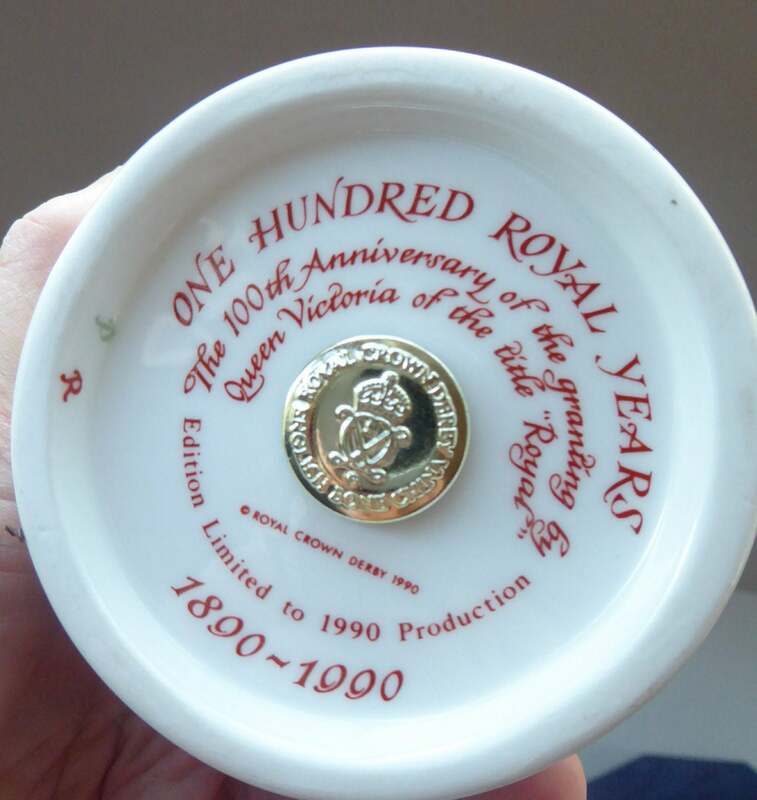 It was a special issue - which was made to celebrate the Centenary of Queen Victoria Granting the Royal Warranty to the Company (1890 - 1990). 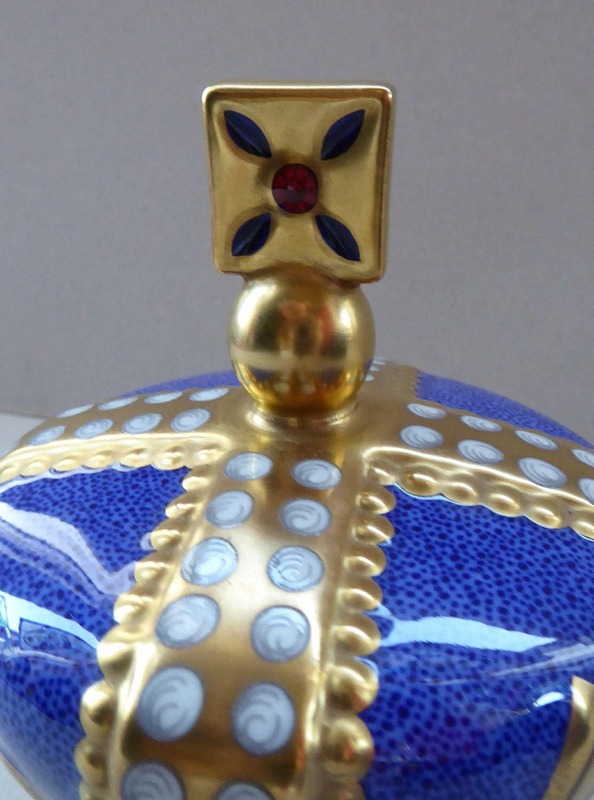 It takes the form of the British Royal Crown. It is in perfect condition - with no chips, cracks or restoration. There are no losses to the gilding. Highly Collectable Limited edition only 1990 pieces were produced. 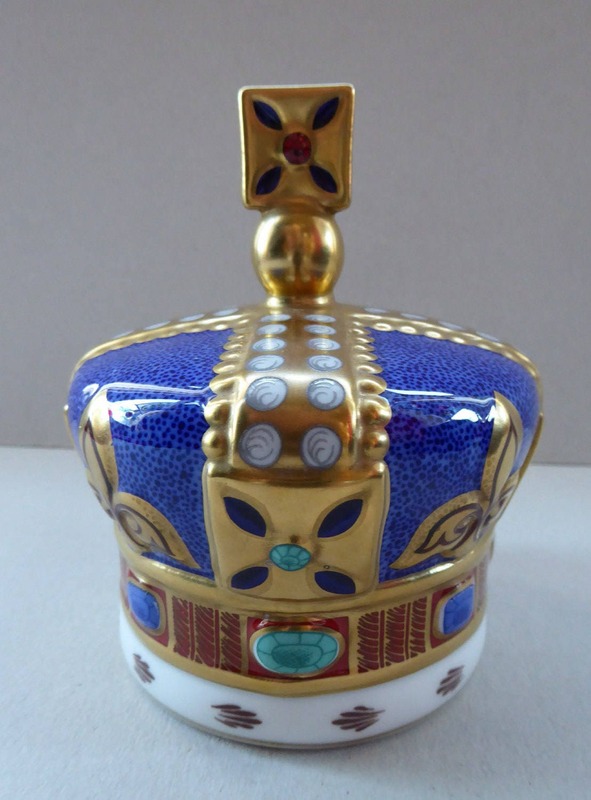 It measures 4 ¼ inches in height by 3 ¾ inches at the widest point, & has the gold stopper on the bottom. 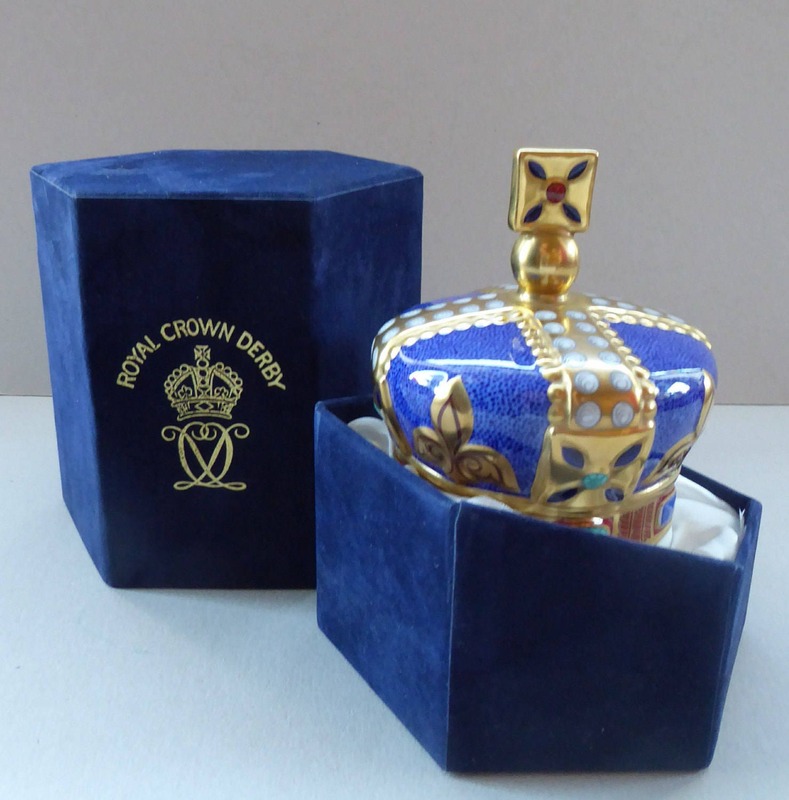 This is a rare Royal Crown Derby paperweight - with its shaped blue velvet flock original presentation box. This is reflected in my price, which is a fair one. Postage quoted is for Royal Mail Next Day Special Delivery in the UK. HAPPY TO POST INTERNATIONALLY; Please ask for a postal quote outside of the UK.